I hope everyone had a lovely break over the holidays. George and I certainly found some beautiful spots in Hawaii and had a fantastic break away. I am going to Wellington this afternoon for the New Zealand Principal’s Conference until Friday, so I look forward to reporting back with my learnings when I return. We have a lot going on this term, so please keep up to date with the calendar. We look forward to seeing our community at our upcoming events, such as pet day. The last Principal’s award went to……India Wilkie! Our raffle is back for 2018. Tickets are $10 and can be purchased on https://givealittle.co.nz/org/omihischool or at our school office or from any of our students. Each student is asked to sell 10 tickets. There are more tickets if they want to sell more than 10. Thank you to our wonderful sponsors who have donated all of our prizes. Prizes will be drawn on the 3/12/18 at our final BOT meeting. We are very excited and grateful to Mainpower for giving us $1,000 from their Community Funding. This will go towards our outdoor play equipment. If your child received a cup or trophy last year, can you please send it back to school. A reminder that our school sun hats must be worn everyday. Please can you make sure you let either myself or the classroom teacher know if your child is not going to be on the bus. Last week there were a lot of children staying at school for tennis, but we hadn’t heard from any parents. I would like to firstly acknowledge the fantastic work that Jane and Kathy have done this year by stepping up and creating such a successful classroom in Year 3-5. They did not apply for 2019, but we hope to see them back relieving here next year. The BOT and I really value having 3 classrooms and have put considerable money into making this happen again for 2019. Our bike race and raffle are a big part of making this happen. I will be working in the senior and middle class each week and will also be covering release across all three classes. I am very excited about joining the Omihi whānau and becoming part of the team. I recently graduated from Lincoln University with a Bachelor of Environment and Society, Majoring in Water Management and I am currently at Canterbury University completing a Post Graduate Diploma in Primary Teaching. 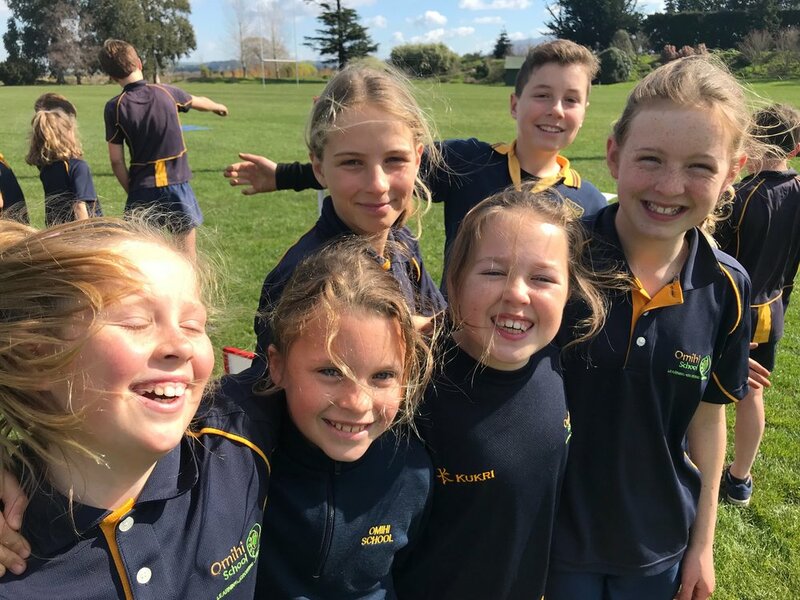 I grew up on a sheep and beef farm in the Central North Island and after completing my primary school years, I finished my education at Woodford House in the Hawkes Bay. A mix of both farming and urban lifestyles has been beneficial to me and I feel most at home in a rural environment. I enjoy fly-fishing, skiing and hiking and I have a real passion for teaching and learning. I have always aspired to secure a teaching position at a rural school and after working in the district last summer, I was thrilled to learn that a position had become available at Omihi. I have no doubt I will be joining a highly motivated team and I look forward to becoming a part of your community and meeting you all soon. 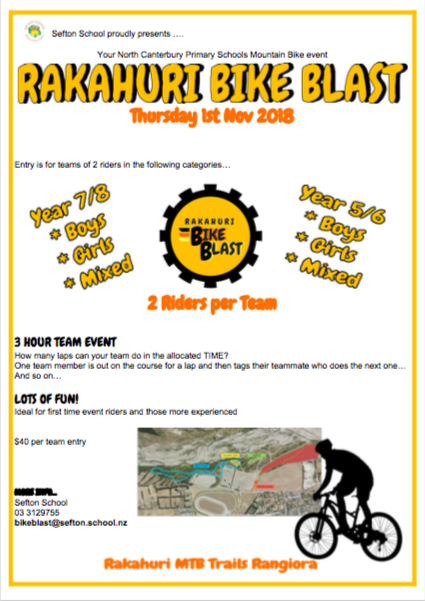 This is on Thursday 1st November at Waipara School. Kat will forward you the timetable and I will share the transport info later this week. Our term 4 policy to review is - Improving Educational Outcomes for Māori Students. We would love your feedback on this. The Year 6-8 children will attend this in Amberley and will visit the library while they are there. We will leave school at 9.10am and return around 11.30am. We need one extra car for transport. If you are available, please let me know. Cath wasn’t able to start tennis lessons today, so they are starting next week and will be on Mondays, not Tuesday. Thank you to those parents who were able to get to Strum, Strike and Blow last week. What an amazing night! We were so proud of our students. It was a fantastic experience for them to be playing alongside 1200 other children. A big thank you to Jennie, Jane and Kat for all the hard work that went into it. Who are their male role models? Do they see men writing for fun? Are there spaces where boys like to learn? What novels are they reading? What will engage them? How much talking is happening in a lesson? More writing, less talking. We have had Di Collier in from Tuahiwi Marae to help us find out about our cultural narrative. It's been a great learning experience for our students and we look forward to sharing with you more information about what we learnt of the Omihi area. As part of this process Di has helped us to come up with names for our three classrooms. Our school is situated in the valley between the mountains and the sea, so the classrooms are going to be named appropriately. She has given us two names for each classroom and we would like you to help us choose which ones to use. Can you please email me your preference for the three classroom names. These are next Monday and Tuesday. Here is the timetable to book in your time. This is for the Year 3-8 children on Thursday 27th September. The students will be performing at Ohoka School at 10.20am. Tickets are $5 and can be purchased through us. If you would like to come, please send money along this week. Each child can purchase a maximum of two tickets. The ones that are left over next week will be given back for other schools to purchase. This is at the Amberley Domain and has been postponed until next Tuesday 11th September. We will be leaving school at 12.15pm. Children need a change of clothes and a towel. The Go Bus will pick the Waikuku children up at the domain at 3.15pm. I will put a message on Facebook in the morning if it is cancelled. The BOT would like to have a couple of parents who are the 'go to' parents when new families start and also to help organise baking, etc for families when needed. Genevieve on our BOT is going to be one of these people. Is there someone that would like to work with her? Please let me know. We welcome all preschoolers and parents to our preschooler morning on Wednesday 12th September from 9-11am. We need one more family to host a chinese student (and maybe their parent) in term 1 next year. If you are able to do this, please let me know. A reminder that our library is open for the community every Tuesday from 1-2pm. There are a pair of these that have been left in our junior class. If they are yours, please let Jennie know. This Friday there will be a presentation from our students who have been involved in our UP programme with the horses at 1.45pm. Straight after that there is our junior assembly at 2pm. Everyone is welcome to come along to both. If you have anything you would like to donate to our school raffle, please let me know - principal@omihi.school.nz. I can promise scones… and jam + cream for morning teas/afternoon teas. Any helpers would be appreciated and if they can give me an indication of names and dates that would be great. We had an amazing day up at Mt Lyford last week. Thank you to all the parents that were able to come up with us. What a wonderful community day and so great to see our students improving every time. We look forward to the next one in a couple of weeks. I am currently in Hanmer Springs on the annual Canterbury Primary Principal's Conference. Our focus is on Disruption (disrupting our thinking around leadership) and our keynote speaker is Tony Burkin. I look forward to reporting back in the next newsletter from my new learning. The latest Principal's award went to....Angus Barnes! This is coming around very quickly and the children are sounding great on their glockenspiels and ukuleles! We now have enough transport for the day. Here is the transport info. 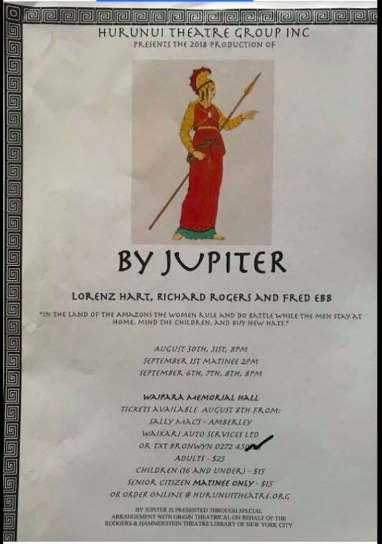 Children need to be back at the arena by 6.30pm that night. We will let you know the meeting place after we have been there during the day. It is $5 for parents to watch - please have cash. Students need to wear school uniform and have a pair of black/dark sunglasses and a cushion to sit on. We are very excited to see the Omihi Community Hall nearly finished. This is a huge asset for our school as we will be able to utilise it for productions, assemblies, prize givings, etc. As our school grows, it is great to have a big space for us to invite our whanau and community into. They are having an opening night celebration on the 29th September. I have included the information below in the community notices. George and I will be going. If you are going and haven't got a group to go with, it would be great to get an Omihi School table together. Let me know if you would like to join our table. A reminder that on Friday 31st August we have a teacher only day with our Kahui Ako (Community of Learning). There are 13 schools coming together at Oxford Area School for Professional Development, which is very exciting. We will be leaving school at 9am. Children need to take their morning tea and a drink bottle. We will be back before lunchtime. If there are any Y5-8 children interested in playing competition tennis in Term 4 please let Megan know at Nick_megan@xtra.co.nz. This competition is held on Wednesday afternoons. Also if you are interested in tennis coaching in term 4, please let Megan know. Last year a tennis coach came into school once a week and took lessons throughout the day for all age groups. These are private lessons, so Megan organises the payment of these from parents. A big thank you to Ingrid for organising the Naked Baker Pies fundraiser. A lot of students took advantage of this and now have money taken off their camp fees. Also thank you to Jaz, Megan and Amy for helping Ingrid to give out all the pies when they arrived. In term 4 we have our annual pet day. There is Agri Sports in the morning, run by Leighton and pet day in the afternoon. Last year one of our parents ran this. Her daughter has now left the school, so we are looking for someone to take it over. If you are available, please let me know. Tracy is happy to talk through what needs to happen on the day with the new organiser. We are starting to organise our annual raffle for term 4. We have two main fundraisers each year - our raffle and our bike/run race. We need to start gathering prizes for our raffle. If you have anything you would like to donate, please let me know or drop it off to school. We will promote any sponsors on our Facebook page and in our newsletter. Last year we managed to raise $5000 through the raffle, so we are hoping to do this again. Our two fundraisers help to support our BOT funded third teacher. We need a photographer on the night to take some photos as guests arrive. We would also like some flowers for decoration on the night. If you are happy to donate some flowers for decoration or take some photos, please contact Maree. What exactly is ARC? It is a mystery adventure race where parent and child aged 5-13 race together, locate and complete 10 mystery challenges; racing the clock and all the other family teams. A team is made up of two people- an adult (over 17yrs); Dad or Mum or a relative or family friend and a child aged between 5 and 13 years of age. The challenges range from physical (like tug-of-war) to mental (like a memory challenge) to knowledge based (like current affairs). Are you game enough to give it a go? Want to win your entry? We will be refunding a couple of team entries at random for those that have entered... so enter now!